The Jacob is one of my most favourite sheep. I have put it on the green sleigh with the red quilt to draw the viewer in. 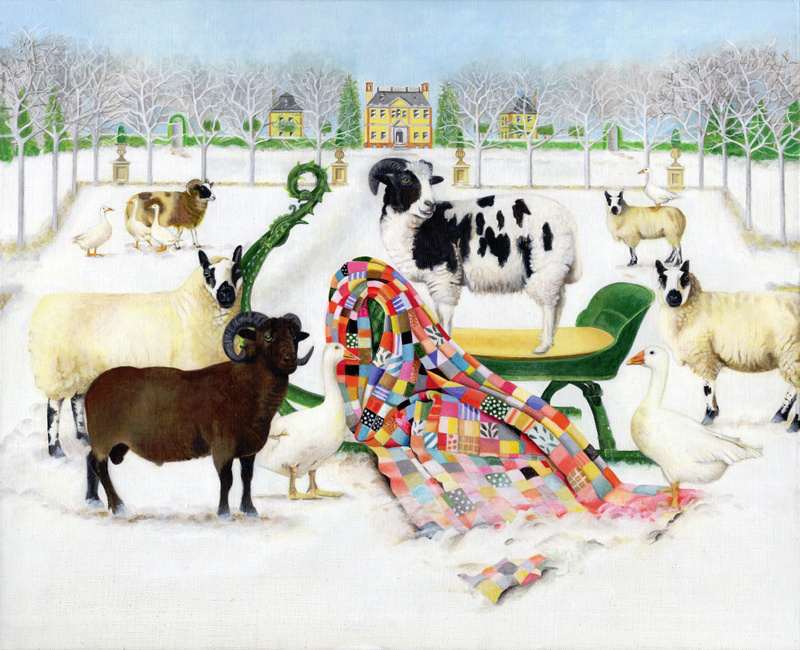 The black Shetland Ram contrasts dramatically with the other sheep making the foreground the most interesting part of the painting. The geese are smaller in scale but traditionally are farmyard companions. The animals gather in the park, content and peaceful, knowing they are under the watchful eye of the big house.